Getting glasses as a child is often a tricky transition. Correcting children’s vision typically involves some dissent or obstinance on the part of the child, but a few adjustments will make all the difference! Choose and adjust the glasses for optimal fit-Making sure that your child is comfortable with his or her new pair of glasses is critical. 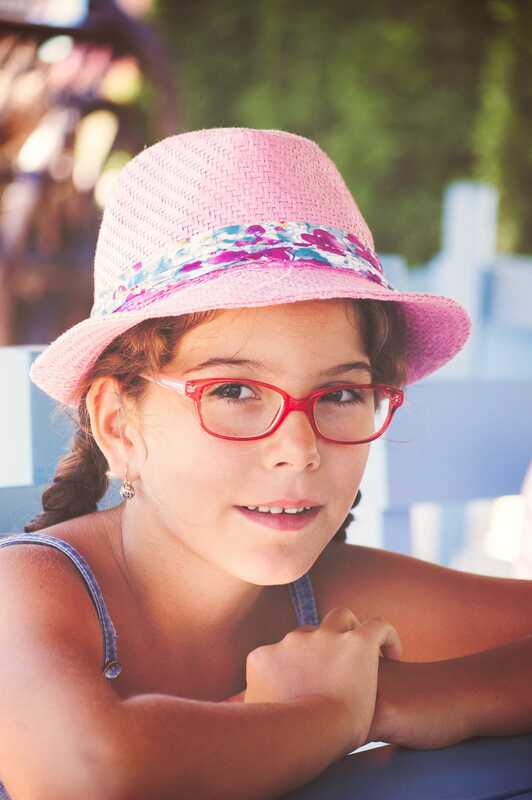 Encourage your child to be a part of the selection process to ensure that they choose a style of glasses that they truly like– they will therefore be more enthusiastic to wear them. Fit is even more important than style, and the optometrist’s staff should be able to guarantee that new glasses are perfectly fitted to the child’s face. Ensure that the child wears the glasses consistently-Sometimes the most difficult part of getting used to new glasses is simply remembering to put them on in the morning. Help your child to integrate glasses into daily routine by verbalizing reminders or directly handing the glasses to the child as necessary until putting on glasses become second nature. Clean the lenses regularly-Dirty lenses rarely serve as positive aids to children’s vision. Dirt and dust that obscures sight will only make it harder for the child to get used to the new glasses. Regularly clean the lenses with lens cleaner and a scratch-free cloth before the child puts them on in the morning. Eventually, show the child how to clean the glasses without you and encourage them to clean the lenses regularly in order to support independence and responsibility. Make glasses a positive experience- Getting and wearing glasses should be viewed as a fun experience, rather than a chore. Reward your child after appointments with something that they find enjoyable in order to help them see the process as celebratory. Try showing the child picture books, movie characters, or favored celebrities with glasses to instill the notion that glasses are fashionable and that the child is not alone. Make sure that you continually encourage the belief that glasses are actually fun and cool! The happiness of children is just as important as children’s vision correction! Book your appointment with your Valley Eyecare Center optometrist. Call us at 602-955-2700 or schedule online today.